It’s easy to print ExpressExpense receipts at home or your office. Printing to inkjet or laser printer – Simply print the image using your standard printing options. You may need to resize your receipt image to get the desired printing size. 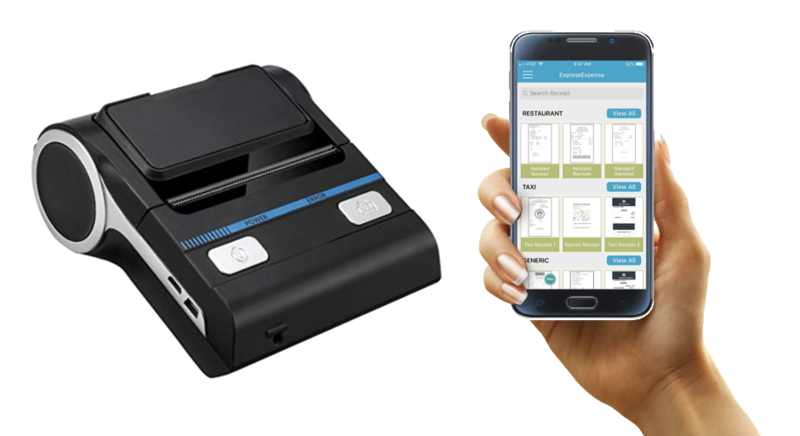 Print on thermal receipt paper – Print to a supported Bluetooth Thermal printer and our Express Thermal Print app (available for iOS and Android). Supported Bluetooth Thermal Printers: The following affordable Bluetooth receipt printers have been tested to work with Express Thermal Print.